GREAT SMOKY MOUNTAINS NATIONAL PARK (April 15, 2013) – Instead of marking April 15 as the deadline to file income tax returns, many people near America’s most visited national park celebrated the day because of the reopening of Newfound Gap Road (U.S. 441). 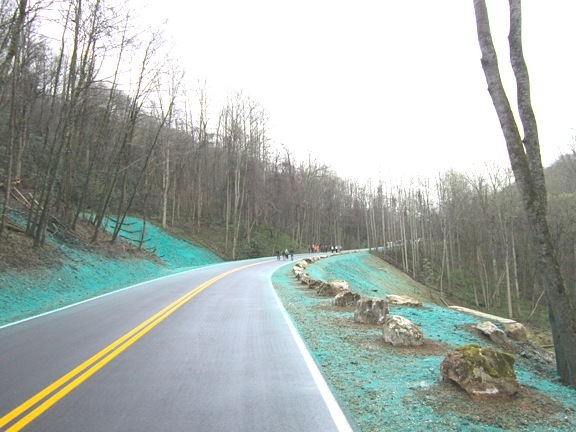 The road – which links the Sugarlands Visitor Center in Tennessee with Cherokee, N.C., and is the only route that connects the two-state park – had been closed for three months. A landslide on Jan. 16 washed away approximately 200 feet of the road. The reopening was 30 days ahead of schedule. The Eastern Band of the Cherokee Nation and the National Park Service had offered contractors an incentive of $18,000 a day (up to $504,000) for early completion. It was not a simple task. 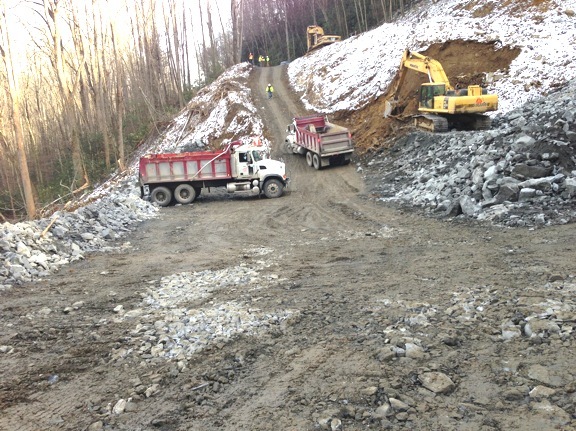 The work involved stabilizing the slope above the work area and then rebuilding the roadway and filling the area washed away during the landslide with crushed stone. A drainage system and pervious crushed stone material will protect the road and surrounding land from future damage due to both overflow and subsurface water flow. For the most current road conditions in the park, call 865-436-1200 x 631 or follow SmokiesRoadsNPS on Twitter.